12.6" x 8.3" stitched on 14 count. 9.8" x 6.4" stitched on 18 count. 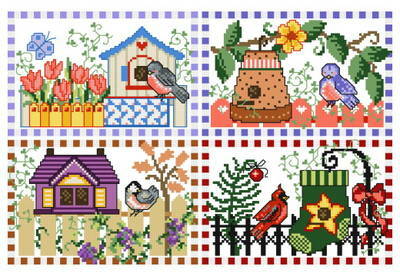 Birdhouse set of 4 cross stitch pattern... A seasonal set of birdhouses may be just the project for your kitchen or bath decor.